A Bespoke DIY conservatory lets you unleash the designer within you and tailor a combination conservatory to your property. Try a T Shape or combine two other conservatory types for the ultimate in outdoor living all year round. 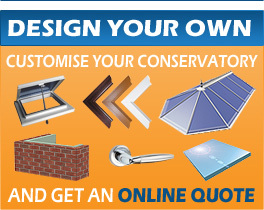 With Self Build Conservatories, going bespoke has never been cheaper with out great value, easy install conservatory kits.